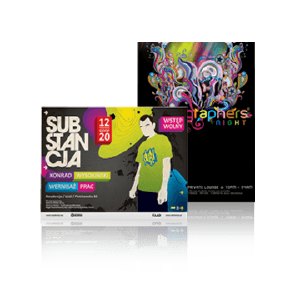 Flyer & Brochure Printing - PrintFirm.com provides custom brochure printing service online. It's FAST and EASY. Order today and SAVE! With full color brochure printing from PrintFirm, you get reasonable prices combined with high quality results. Our brochures are available in business and mini. The business brochures have three design options that you will want to take advantage of before you move on to the brochure printing phase. You can upload your own print-ready design along with any artwork, photos and text, or choose from our many pre-made design templates. The third option is to choose our custom design service. Our talented team of graphic artists will design a brochure that best meets your needs. Our mini brochures lack the pre-made templates, but the other design options are fully integrated with our website. PrintFirm’s business brochures can be printed on 100 lb. gloss text paper or a thicker 10-point card stock with an option for a shiny UV-coating that protects against dirt and moisture, or a non-UV coating that has more of a matte look. You have six size choices, ranging from 8.5” X 11” to 12” X 18”. 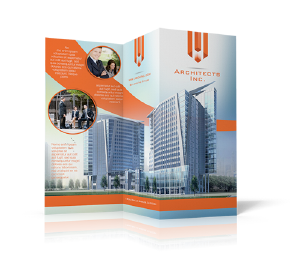 You can select a flat brochure or choose from one of three folding options: the half-fold, tri-fold, and Z-fold. Scoring can be added to each of these folding options. Scoring is a mechanical crease added during brochure printing that allows for a better-looking fold. Our mini brochures are printed on 100 lb. gloss text paper. They are excellent choices for take-out menus. Because of their lightweight construction, they can be handed out in large quantities in places with a high concentration of foot traffic. Next day brochure printing turnaround is available for business brochures. 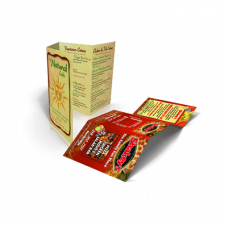 Because mini brochures are more of a specialty item, the minimum print turnaround is three days.